The Washington Capitals drafted Mike Gartner in the 1979 NHL Entry Draft with the fourth overall pick. Prior to that, he had played a season with the Cincinnati Stingers in the World Hockey Association (WHA), where there was no minimum age limit. Back in 1978, the minimum age for being drafted into the NHL was twenty. However, when the merger of the NHL and WHA took place in 1979, the minimum age was changed to eighteen to absorb the “younger” players from the WHA. In his first season with the Caps (1979-1980), he scored 36 goals and had 32 assists for a total of 68 points. He ended up winning the team’s Most Valuable Player and Rookie of the Year awards and was voted by the fans as the team’s Most Promising Player. He followed his initial season with an even better one in 1980-1981, by scoring 48 goals along with 46 assists. 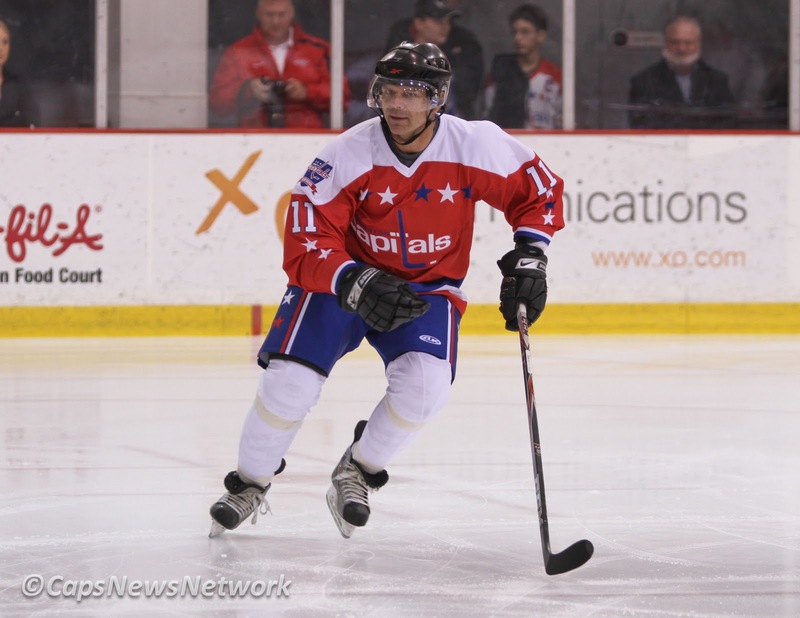 In his nearly ten-year tenure with the Washington Capitals, he consistently scored between 35-50 goals per season. For the first three years of his career with the Caps, the team did not make the playoffs. But during the 1982-1983 season, the Caps qualified for the playoff for the first time in the team’s history. Unfortunately, they fell to the New York Islanders in the Division Semi-Finals. The Caps qualified for the playoff during all five of his remaining years with the Capitals, but never advanced past the Second Round; i.e. the Patrick Division Finals. On March 7, 1989, he and defenseman, Larry Murphy, were traded to the Minnesota North Stars for Right Winger Dino Ciccarelli and Defenseman Bob Rouse. When he left the team, he had scored 397 goals and had 392 assists for a total of 789 points which were the team’s record, at the time. When he left the team, he was their all-time leader in games played, goals, assists, points, power-play goals and game-winning goals. Gartner played in the NHL until the 1997-1998 season, playing with the Minnesota North Stars, the New York Rangers, the Toronto Maple Leafs, and the Phoenix Coyotes. He ended up with a grand total of 708 goals, 627 assists and 1,335 points overall, before retiring. He was only the fifth player in NHL history to reach 700 goals, although two other players, Brett Hull and Jaromir Jagr, have since achieved that milestone. He was elected to the NHL Hall of Fame in 2001. He was very active in the NHL Players Association and served as its President from 1996 until his retirement in 1998. He also served as Chairman of the Goals & Dreams program for the NHLPA until he resigned in 2007. Today, Gartner and his former teammate, Wes Jarvis, are business partners and own three skating rinks in the Toronto area. The Washington Capitals retired Gartner’s jersey number, #11, in a ceremony before the Caps game with the Toronto Maple Leafs on December 28, 2008. All fans in attendance got a commemorative #11 pin. His family, including his wife, his two sons, his daughter and his son-in-law all came down with him on the ice for the pre-game ceremony. Many of his old teammates, including Scott Stevens, Bob Carpenter, Rod Langway, Paul Mulvey, and Craig Laughlin were on hand for the occasion. Gartner became the fourth player in Capitals history to have his number retired and will long be remembered for what he brought to the sport of hockey. This entry was posted in History, News and tagged Capitals, Caps, NoVa Caps, Retired Numbers. Bookmark the permalink. no much less superior than nuclear weapons https://math-problem-solver.com/ . on comparable portions of protection.